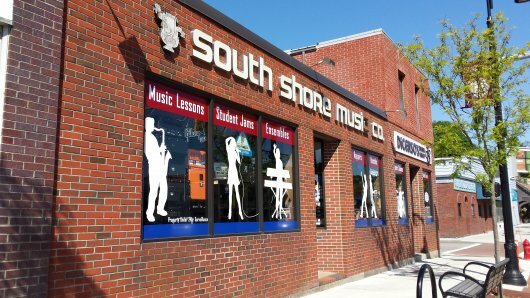 South Shore Music, in Weymouth, Massachusetts, started out in 1968 as South Shore Music Studio, by Pietro Volpe, an Italian immigrant, who taught everything from guitar to piano, accordion to trumpet, all the woodwinds and brass. Eventually, through the growth of student enrollment, there became a real need to supply accessories in the studio, so his wife, Ilva, also from Italy, began working in the store to sell accessories and eventually, musical instruments to students. In the early 70's, Pietro had the foresight to acquire the Gibson guitar franchise, which created a lot of excitement and business at that time. In 1977, the Volpe’s bought the building that the store was renting, and doubled the size of the store. 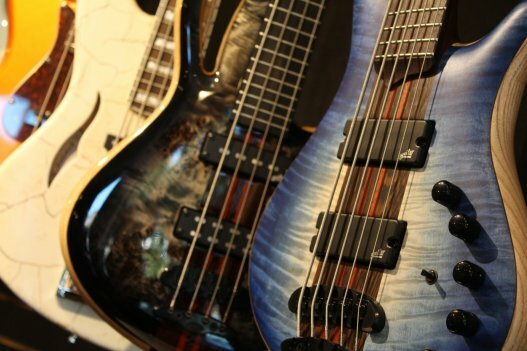 In the early 80's, the Fender line was acquired. Then in 1985, they expanded again by adding an addition in the back of the building for storage. Their son, Peter, began working as a teenager in the business in the early 80’s, then ended up working full time in the store from 1987, when he graduated from Stonehill College. The store continued to grow and add more lines, when in 1998, Pietro Volpe decided to sell the business. In 1999, his son, Peter, purchased the business along with a business partner. The store continued to grow, and in 2002 expanded once again to another portion of the building. In 2005 South Shore Music acquired DiCenso’s Drum Shop in Quincy. Peter bought out his business partner in 2006, becoming the sole owner in both stores. In 2007, DiCenso’s was moved right next door to South Shore Music, creating the current South Shore Music / DiCenso’s Drum Shop. South Shore Music / DiCenso’s Drum Shop together have been in operation for 83 years combined. The strengths of both shops are the teaching program, where thousands of lessons have been taught, and many local area teachers have been created. We carry only those lines that help us help you, with solid warranties, customer service, and a history of reasonable policies. We service almost everything we sell, and if we can’t service it, we will do everything in our power to help our customers get the service they need.